From the start of Chosen of Khorne, Sean Barrett sets the scene for the entire seventy minute production. 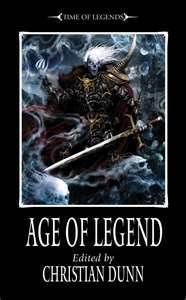 You get to feel how old and weary some of The World Eaters are, and how they are supposed to fight even when their flesh and bones have already given up. You also get a feeling they have journeyed a long way to get where they are, and are tired as a result. As a listener, your mind fills in the blanks in the narrative perfectly, and each voice actor can convey their particular character well. Sean tells of the risks they take to become the best, and the competition they have with the other combatants. There is no doubt that each scene from the ten chapters has an eerie presence, as well as evoking the pain and gore of their actions. The production is plagued by endless footsteps, dramatic action and screams of insanity fill the air. 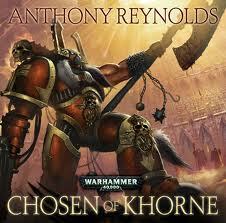 The cover art shows an arena filled with spectators and proud warriors who have been in several wars, all intending to fight for Khorne, hoping he will let them fight along with him, but in chaos’s heated plane, only a chosen few will be able to live to see their victory become a reality. 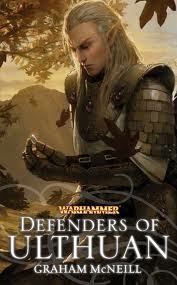 Two warriors unite hoping to gain a sure victory, but for Argus Brond, a berserker of The World Eaters. His joining with Khorne might cause more trouble than it is worth. These men are a unique group of warriors who bathe in the chaos from the days of the Horus Heresy and have the anger of berserkers. On following Angron, they have modified their brains with neural implants that make them more aggressive, making them invincible in battle. Brond and Maven give the impression that they have been modified as their voices emit an almost sinister, animal tone which fits in well with the descriptions of those who have been exposed and taken in by chaos in the graphic novels. They can be defined as creepy and sinister, and that goes to create an even better atmosphere for the production. Brond has his own idea of what he wants to do, and so has Maven, and they try their best to tolerate each other’s company during the time they are together around Khorne. 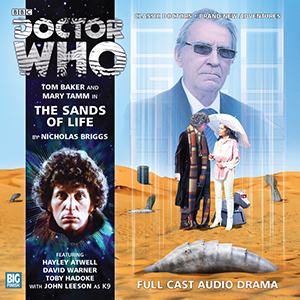 The narration alone is enough to remind some of the original War of the Worlds audio play, and has the same level of impact on the listener.